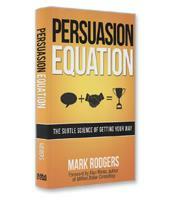 The three persuasion precepts and how to set your persuasion priorities. Key heuristics and biases that influence your decision making. To build a convincing business case via quantitative and qualitative reasoning. Why positive self-talk is key to your persuasive efforts.